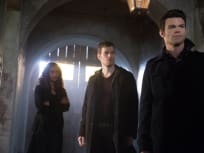 "From a Cradle to a Grave"
Elijah and Klaus embark on a search for the baby to close out The Originals Season 1. Hayley makes a heartbreaking choice. 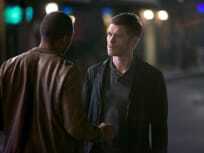 Klaus and Elijah set in motion a plan to arm the werewolves on The Originals, while Marcel rallies his vampire army. 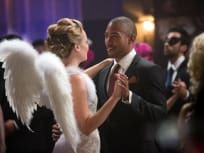 Hayley and her child fall into trouble on The Originals this week as people gather to remember Father Kieran. Genevieve has issues controlling some of the younger witches. 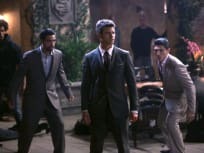 Kieran experiences a violent episode on this installment of The Originals, while Klaus and Elijah disagree over the best way to handle the Crescent Wolves. Elijah makes a move for control on this episode of The Originals. We also meet a woman from a very powerful local family. 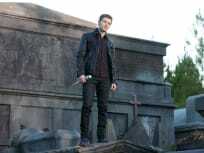 Elijah, Klaus and Rebekah are trapped in the cemetery this week on The Originals. The siblings will fight it out to see who lives in New Orleans. 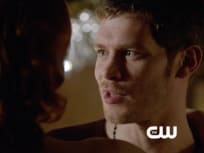 The Originals flashes back to 1919 once again as Klaus opens up to Cami about his family history. 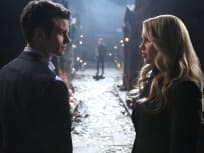 Rebekah is forced to relive her past on this episode of The Originals. She ends up in a lot of pain. Father Kieran runs into a witch from his past on this episode of The Original. Hayley meets members of her family. We flash back to 1919 on The Originals. In the present day, meanwhile, a new threat arrives in town. Sophie comes up with a drastic plan to save Davina whose illness affects the whole French Quarter on The Originals. The Originals returns with an episode that has the women taking control of New Orleans. Davina is a witch to be reckoned with! 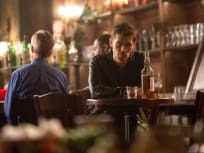 "Reigning Pain in New Orleans"
New alliances are formed on this episode of The Originals, as Klaus opens up to Marcel about certain events in his life. Cami, meanwhile, tries to make sense of everything. 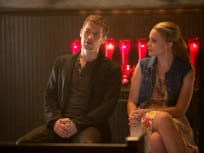 Rebekah turns to Father Kieran after making a difficult decision and new allegiances are pledged on The Originals. 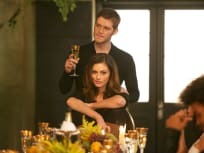 Hayley worries about the baby when someone from her past shares a secret while Klaus has a crosses paths with a dangerous and unexpected visitor on The Originals. "Fruit of the Poisoned Tree"
Klaus realizes that the life of his unborn baby is in danger on The Originals. Elijah helps Davina with her magic. Marcel allows Davina to attend an event in the city. Hayley runs into trouble when she visits a doctor in the bayou on The Originals. 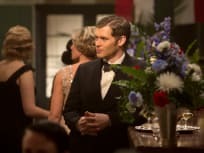 Sophie lends a hand to Rebekah and Klaus on this episode of The Originals. Hayley learns more about the baby. "House of the Rising Son"
Rebekah arrives in New Orleans on the second episode of The Originals. Marcel's history is revealed. 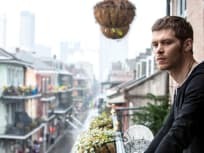 On The Originals series premiere, we'll learn why Elijah was so eager to return to New Orleans as the pilot episode is retold from the elder Originals' point of view. The Originals Season 1 Report Card: Grade It! 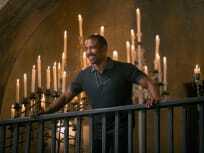 The Originals Round Table: "From a Cradle to a Grave"
The Originals Promo - "A Closer Walk with Thee"
The Originals Clip - Book Smarts?